Roxanna Frysinger Rice was born on May 27, 1929 in Lima, Ohio and married John Francis Rice on September 7, 1947. She is survived by her children Cheryl Rice Adams(David), Kathryn Rice Wesley, David Rice(Elaine), and Kimberly Rice Manrow (Scott). 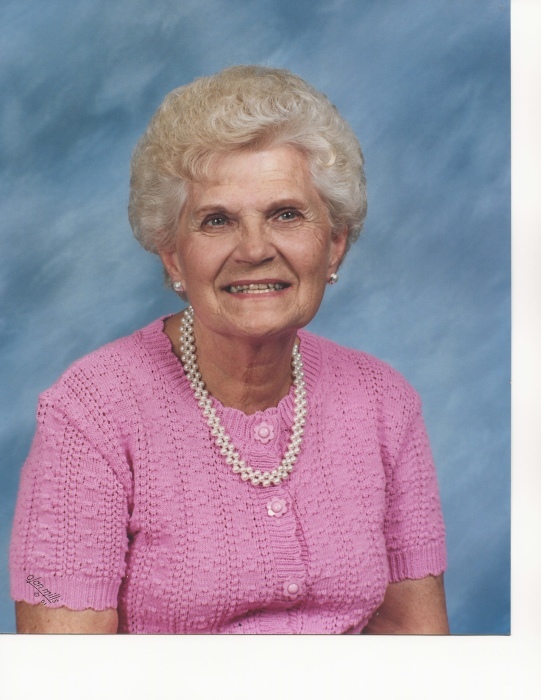 She had 9 grandchildren, 5 great grandchildren and 1 great, great grandchild. Her sister Stella Frysinger and two brothers Loius Frysinger and Bill Iiames survive as well. Roxie was a wonderful homemaker, great cook, and superb baker, especially in the pie department. Her English Walnut Toffee was enjoyed around the country. She was a woman of strong faith and an active member in the Skaneateles Methodist Church where she worked tirelessly at the Antique Show bake sale, ran the CROP Walk for many years and participated in the Red Bird Mission to aid people less fortunate than herself. She traveled to Virginia to volunteer at the mission we’ll into her seventies. Roxie worked at Cayuga County Homesite for 20 years and retired at age 80. For some years she worked at the Skaneateles Central School cafeteria. Known for her physical prowess she vigorously worked out at Finger Lakes Health Center 3 times a week for more than 20 years and took great pride in being able to do 20 military pushups and walk at a great pace (even with her walker at the nursing home ) into her 80’s. Throughout her life Roxie traveled extensively across the U. S. and in other parts of the world. While in Israel, she was rebaptized in the Jordan River. She loved cruises and enjoyed meeting people Roxie had a great sense of humor and will be missed by many. A memorial service will be held on Saturday, January 19 at 11:30 am in the Skaneateles United Methodist Church, Skaneateles. An hour of calling hours will be held prior to the service from 10:30 am-11:30 am. Arrangements are with White Chapel Funeral Home Inc., Auburn. In lieu of flowers, please consider donations to The Skaneateles Methodist Church or Alzheimer’s Association.